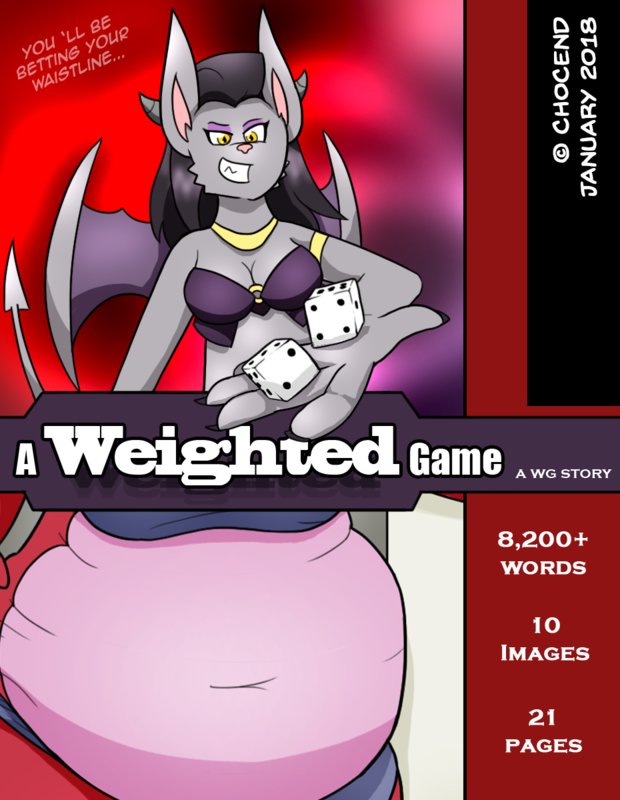 A Weighted Game is a weight gain-themed story created by TheGuyNoOneRemembers. It contains more than 8,200 words, 10 images, and 21 pages. Now that the world is free of evil, Valentina "Tina" the Earth Dragoness is bored out of her mind! Her boredom finally ends when Lilith the succubus challenges her to a simple dice game with an unusual prize to the winner. Tina would do anything to cure her boredom, but a wise person would know better than to bet against a mischievous succubus!